Product prices and availability are accurate as of 2019-04-18 23:50:47 UTC and are subject to change. Any price and availability information displayed on http://www.amazon.co.uk/ at the time of purchase will apply to the purchase of this product. We are delighted to stock the fantastic Aberfeldy - Single Cask #6814 - 1996 16 year old Whisky. With so many on offer recently, it is great to have a name you can trust. 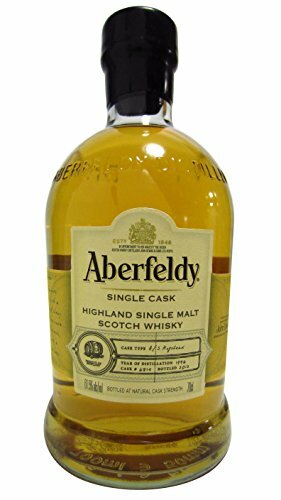 The Aberfeldy - Single Cask #6814 - 1996 16 year old Whisky is certainly that and will be a excellent acquisition. For this great price, the Aberfeldy - Single Cask #6814 - 1996 16 year old Whisky is widely recommended and is a regular choice amongst lots of people. Aberfeldy have added some great touches and this means good value for money. The whisky for this single cask Aberfeldy bottling was distilled in 1996 and was specially selected by the members of The W Club and also The Whisky Shop Edinburgh Staff in March 2013 as an exclusive to The Whisky Shop release. 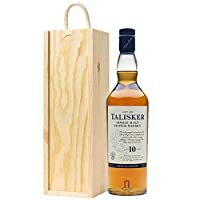 This is a fabulous single cask expression brimming with vanilla notes, stewed fruits, also packs some typical warming oak flavours from the fairly long maturation.